Chengjiang Fossil Site in China’s balmy Yunnan province and Xanadu, the legendary summer palace of the Mongol leader, Kublai Khan, in the present-day province of Inner Mongolia, have been awarded prestigious UNESCO World Heritage site status. 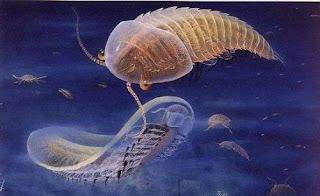 Chengjiang Fossil Site (and museum) has become a Natural World Heritage Site for its spectacular fossils, over 525 million years old, which reveal the wonders of a long-dead marine ecosystem. Extinct creatures such as velvet worms have been preserved in incredible detail, along with earliest examples of the sea gooseberry, and the oldest-preserved vertebrate. 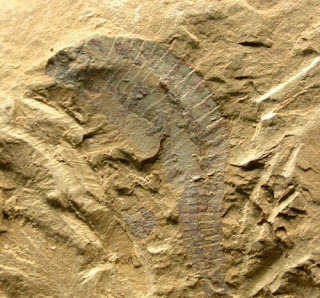 Over 200 fossils are displayed at the 512 hectare site, which experts think gives the clearest picture yet of marine ecology in the Cambrian Period. It is China’s first fossil site inscribed on the UNESCO World Heritage List, and is already starting to attract increasing numbers of visitors from around the world, drawn by the relative freshness of its discovery and the number and quality of the artefacts. The Chengjiang Fossil Site is in Yunnan Province in South-Western China, known for its more temperate climate and relaxed atmosphere. Yunnan is also one of the most geographically and ethnically diverse provinces in China and a favourite destination on China Holidays tours. Other attractions in the province include the Naxi folk orchestra in Lijiang and the dramatic Tiger Leaping Gorge. There are direct flights to Kunming, the chilled-out capital of Yunnan Province, from most major cities in China, including Beijing and Shanghai, and also from South-East Asian cities such as Bangkok and Rangoon. China Holidays offer day trips within Kunming, exploring this fascinating city and its surroundings in greater depth. In addition to the Chengjiang Fossil site, visit the remarkable limestone Stone Forest, the Bamboo Temple deep in the mountains and the exotic Bird and Flower market in the old town. Yunnan Province borders regions and countries as varied as Laos, Vietnam, Myanmar, Sichuan Province and Tibet, making it an ideal part of China for travellers wishing to combine their holiday with one or more of these adventurous destinations. The food and culture in Yunnan itself reflects their proximity, with spicy rice noodle soup, mint and potato balls among the unusual local favourites. 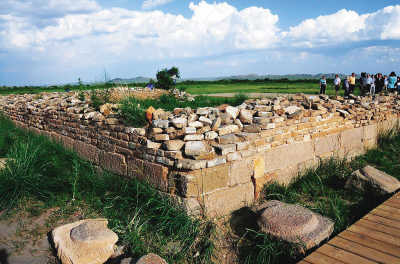 Xanadu, in the Chinese province of Inner Mongolia, has been added as a cultural site, underlining its status as a site of historical importance and place of legend. Most famous to British people as the ‘stately pleasure dome’ of Coleridge’s poem ‘Kubla Khan’, present-day Xanadu represents the remains of the summer palace of Kublai Khan, grandson of the notorious Genghis. Built in 1256, the remains of Xanadu represent the legacy of Kublai Khan’s attempts to merge Mongol and Han Chinese culture. Kublai Khan invited the Chinese architect Liu Bingzhong to design his summer palace, which he did according to the principles of feng shui. There were once reportedly 108 temples at the site. Marco Polo’s account of a visit to Xanadu in about 1275 mentions two palaces, one marble and one made of cane, surrounded twice by square stone walls. The elaborate gilt cane palace was detached and re-assembled each time Kublai Khan moved location, reflecting his nomadic Mongol heritage. The site is also interesting historically as many discussions of religious importance took place there, leading to the spread of Tibetan Buddhism which is still an influential part of China’s culture today. Nowadays among the remains of the city you can still see palaces, temples, tombs, nomadic encampments, canals and other water works, which are considered to be well-preserved for their age. Xanadu is not far from the Inner Mongolian city of Xilinhot, which is famous for its beautiful grasslands and Dalinor Lake. Xilinhot is also home to an annual Nadaam Festival, a national celebration which includes Mongolian horse-riding skills, with wild races, outlandish costume competitions, wrestling and archery. Nadaam is held in early July each year. There are direct flights to Xilinhot from Beijing and Hohhot, the provincial capital of Inner Mongolia. Visitors on China Holidays tours to the area can journey to a traditional Grassland two hours from Xilinhot – and accommodation is even in a deluxe Mongolian yurt. Guests can watch activities such as archery and a Mongolian toast ceremony, with singing and dancing around a bonfire. China has 43 World Heritage Sites on the UNESCO World Heritage List, one of the most numerous in the world. It has a further 50 sites on the UNESCO Tentative List, which hopefully will be inscribed in future years. Discover the hidden secrets of China’s past with China Holidays. As specialists in China, with over 10 years’ experience organizing holidays, we can help you with exclusive group departures or unique tailor made holidays to suit your own individual needs. China Holidays make sure to go the extra mile at all times to provide you with an unforgettable, experience of a lifetime. For comprehensive information on how we can help with your travel arrangements, call China Holidays’ friendly team of expert advisors on 020 7487 2999, or contact us by email on sales@chinaholidays.com.